UPDATE: Videos of the presentations are available! You can watch all videos in the viewer on the top right corner of this page, or select individual videos from the Youtube playlist here. The coral reefs of Australia, particularly the Great Barrier Reef, Ningaloo Reef, and Lord Howe Island World Heritage Area are Australian national icons, of great economic, social, and aesthetic value to this country. Tourism on the Great Barrier Reef alone contributes approximately $5 billion annually to the nation’s economy. Income from recreational and commercial fishing on Australia’s tropical reefs contributes a further $400 million annually. 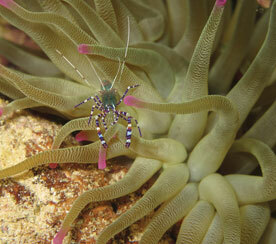 Consequently, science-based management of coral reefs is a national priority. Globally, the welfare of 500 million people is closely linked to the goods and services provided by coral reef biodiversity. Uniquely among tropical and sub-tropical nations, Australia has extensive coral reefs, a small population of relatively wealthy and well-educated citizens, and well-developed infrastructure. Our objective is to present (to a general audience) the latest science which supports the sustainable management of coral reefs, in Australia, our region, and globally. A public forum at 5.20pm for a 6.00pm start, Friday 7 August hosted by Bernie Hobbs, a multi-award-winning science writer and broadcaster. This event is for everyone: the general public, teachers and school children (older than about 10) as well as scientists, resource managers and policy-makers. 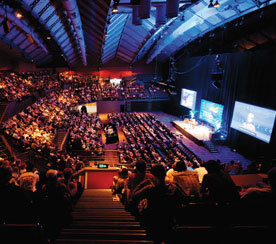 It will be held at Brisbane Convention and Exhibition Centre. Dr Ken Anthony is a Senior Research Fellow at the Centre for Marine Studies and the ARC Centre of Excellence for Coral Reef Studies at the University of Queensland. 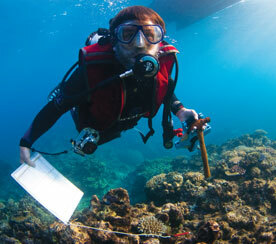 His research focuses on the effects of ocean acidification and climate change on coral reefs. Ken’s main interest is how coral reefs will look in a future under global (climate-change) and local (overfishing, water quality and tourism) pressures. Ken is leading a number of experimental and modelling projects that allow us to speculate about what reef resources Australia stands to lose if the seas get hot and acid during the 21st century. Dr Andrew Baird is a Principal Research Fellow at the ARC Centre of Excellence for Coral Reefs Studies at James Cook University. Andrew’s current research is focused on the potential for adaptation and acclimatisation in reef corals. His other research interests include the evolution of coral life histories and the role of disturbances, such as tsunami and coral bleaching, on reef assemblages. He has lived and worked in much of the central Indo-Pacific and has ongoing collaborative research projects in Indonesia, Singapore, Micronesia and Japan. Natalie Ban is a postdoctoral fellow in Program 6 (Conservation Planning for a Sustainable Future) at the ARC Centre of Excellence for Coral Reef Studies at James Cook University. Natalie’s broad research interests include incorporating dynamics into conservation planning, marine protected area design that includes ecological and socioeconomic objectives, and human uses and impacts on the marine environment (including ecosystem services). Her postdoctoral research will comprehensively assess the role of an important and hitherto largely ignored set of biodiversity processes, patch dynamics, in conservation planning. She recently (November 2008) completed her PhD at the University of British Columbia, Canada. Professor David Bellwood is a Chief Investigator in the ARC Centre of Excellence for Coral Reef Studies and a Professor in the School of Marine and Tropical Biology at James Cook University. He has broad research interests in the evolution and ecology of coral reefs fishes, with over 130 articles in leading international journals. Through a series of influential papers (eight in Science or Nature), he has pioneered the application of ecosystem function approaches to the study of reef fishes and in the evaluation of ecosystem impacts of biodiversity. In the last few years his primary goal has been to identify critical functional groups and the key reef processes that underpin coral reef resilience. Dr Cinner’s research explores how socio-economic factors influence the ways in which people use, perceive, and govern natural resources, with a specific focus on coral reef social-ecological systems. He works on interdisciplinary research topics such as defining the socio-economic factors that drive successful conservation, understanding resilience and thresholds in coral reef social-ecological systems, examining and operationalizing vulnerability to environmental change, and examining the applicability of Western conservation models in developing countries. Dr. Cinner is a Senior Research Fellow in the ARC Centre of Excellence for Coral Reef Studies at James Cook University. He has worked on human dimensions of marine conservation in Australia, Jamaica, Mexico, Papua New Guinea, Kenya, Madagascar, Tanzania, Mauritius, Seychelles, and Indonesia, and the USA. Professor Sean Connolly is a Chief Investigator and Program Leader with the ARC Centre of Excellence for Coral Reef Studies and a Professorial Fellow within the School of Marine and Tropical Biology at James Cook University. Sean combines mathematical and statistical modelling with fieldwork and laboratory experiments to study the dynamics of biological turnover at all scales, including population dynamics, species interactions and biodiversity, and macroevolution. Sean currently holds an Australian Professorial Fellowship from the Australian Research Council, and was most recently honoured by the award of the 2009 Fenner Medal of the Australian Academy of Science, for pioneering new approaches to understanding biodiversity. Dr Pedro Fidelman is a Postdoctoral Research Fellow with the ARC Centre of Excellence for Coral Reef Studies at James Cook University. His research interests, in a broad sense, include environmental governance, institutional analysis and common-pool resources. Pedro is particularly interested in examining how systems of social norms and rules (i.e., institutions) – which govern human-environment interactions – can be used to solve environmental problems. Examples of his current research include an institutional analysis across the catchment-to-reef continuum and analysing the governance of complex marine commons. Simon Foale is Principal Research Fellow at the ARC Centre of Excellence for Coral Reef Studies at James Cook University. Simon is a biologist whose interest in marine resource management outcomes has provoked him to take a cross-disciplinary approach in pursuit of that objective. Simon mainly works in the Solomon Islands and Papua New Guinea and among other things is interested in the complex nexus between economic development and natural resource use and management, and in finding ways to improve coral reef resource governance in the developing countries in our region. Dr Nick Graham is a Research Fellow in the ARC Centre of Excellence for Coral Reef Studies at James Cook University. He is an applied coral reef scientist working on large scale ecological questions directly relevant to sustainable management and conservation. He has assessed the long-term impacts of climate induced coral bleaching on coral reef fish assemblages, fisheries and ecosystem stability. He has also worked extensively on the ecological ramifications of fishing and closed area management to reef systems. Nick is now turning his efforts towards understanding the patterns and processes by which coral reefs degraded by coral bleaching recover, and how this can be incorporated into, or influenced by, management action. Professor Ove Hoegh-Guldberg is a Deputy Director in the ARC Centre of Excellence for Coral Reef Studies, Director of the Centre for Marine Studies at University of Queensland, and a Queensland Premier’s Smart State Fellow (2008-2013). His research interests span a broad range of topics including marine biology, evolution, physiology, biochemistry and molecular biology of plant-animal symbioses, co-evolution, coral bleaching and climate change. Ove is Chair of the GEF/World Bank Working Group on Coral Bleaching and Related Ecological disturbances,one of five expert groups within the IOC and World Bank Coastal Program’s Global Coral Reef Targeted Research and Capacity Building Project. Ove has published over 160 papers, including 15 in Science or Nature. He is reviewing editor at Science Magazine. Geoffrey P Jones (PhD, Univ. of Auckland 1980) is currently a Professor in the School of Marine and Tropical Biology, and ARC Centre of Excellence for Coral Reef Studies, James Cook University. His general field of research is in marine conservation biology, with primary expertise in the ecology, behaviour and conservation of tropical and temperate reef fishes. His most recent research centres on dispersal, habitat specialization, habitat change and strategies for conserving reef biodiversity. He has published over 140 scientific articles and supervised over 100 graduate students in this field. Professor Michael Kingsford has been Head of the School of Marine and Tropical Biology at James Cook University for the last seven and a half years. The School is a recognised world leader in tropical marine science. He has been President of the Australian Coral Reef Society and the former Director of One Tree Island Research Station in the southern Great Barrier Reef. 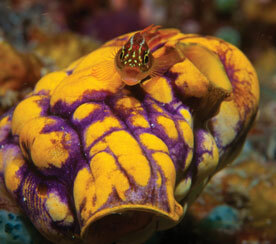 He has published extensively on the ecology of reef fishes, jellyfishes and biological oceanography. His projects have encompassed a range of latitudes and he has edited two books on tropical and temperate ecology. A major focus of his research has been on connectivity of reef fish populations and deadly irukandji jellyfishes. In addition to research and leadership, he teaches undergraduate and postgraduate students and supervises many postgraduate students. Johnathan Kool is a Research Fellow in the ARC Centre of Excellence for Coral Reef Studies at James Cook University. Johnathan’s primary interests lie in investigating the processes responsible for generating large-scale patterns of diversity in coral reef ecosystems. To achieve this, Johnathan uses analytical methods and individual-based simulations to examine the diffusion of genetic material in population networks over space and time. Other areas of active research include: integrating aspects of complexity theory and formal computer science into conservation planning, and quantitatively addressing the effects of changing scale in heterogeneous environments. Andrea Leverington is the Assistant Director-General of the Queensland Parks and Wildlife Service in the Department of Environment and Resource Management. Following a degree in environmental sciences, Andrea has been working in the area of conservation and natural resource management in Queensland Government for over 25 years. She has had policy, legislative and on-ground experience in these areas. Recent experience includes working in vegetation management, the reef plan, and threatened species, in line agencies as well as the Department of the Premier and Cabinet. Immediately prior to taking up her current position she was responsible for the implementation of the Environmental Protection Act. Dr Janice Lough is a Senior Principal Research Scientist leading the Responding to Climate Change Team at the Australian Institute of Marine Science and a Partner Investigator with the ARC Centre of Excellence for Reef Studies. Trained as a climatologist at the Climate Research Unit (UK), her research interests focus on understanding the nature, causes and impacts of climate variability and climate change in tropical marine environments. She also specializes in obtaining historical perspectives on coral reefs and the significance of currently observed changes using the rich archive of proxy environmental information contained in long-lived massive coral skeletons. Jennie Mallela is a research fellow at the Research School of Earth Sciences at The Australian National University and the ARC Centre. Jennie’s research is motivated by an interest in how past, present and future environmental disturbances (natural and anthropogenic) influence reef resilience and reef building processes and how such disturbance affect resource management. She has an interdisciplinary background and broad research interests including reef calcification, carbonate budgets, reef monitoring, geochemical proxies, coral sclerochronology, hurricanes, bleaching, coral recruitment, land-based stressors, climate change and marine resource management. Her current work focuses on the effects of land-based runoff on the central Great Barrier Reef. Laurence McCook manages the strategic coordination of the scientific information needed to manage the Great Barrier Reef Marine Park. His team developed GBRMPA’s Climate Change Response Program, the State of the Great Barrier Reef Report and monitoring programs for the ground-breaking Reef Water Quality Protection Plan and the Rezoning of the Marine Park. Laurence has extensive research experience, including the ecological processes underlying coral reef resilience and degradation, and strong interests in the application of science to environmental management, including scientific uncertainty, burden of proof, shifting baselines, and the interface between environmental and economic values. Laurence was recently awarded an international Pew Fellowship in Marine Conservation, addressing the resilience of coral reefs under climate change, and the development of management and policy initiatives to protect that resilience. Professor Malcolm McCulloch is a Deputy Director of the ARC Centre. In July 2009 he took up the prestigious Premier’s Fellowship at the University of Western Australia where he will also be establishing a new node for the Centre of Excellence. He was previously a Professor of Earth Environment, Research School of Earth Sciences, at The Australian National University. His research interests focus on the modern part of the geologic record using isotopic and trace element geochemical methods to determine how climate and anthropogenic processes have influenced both past and present environments with particular emphasis on coral reefs. Malcolm has received a number of prestigious awards, most recently in 2009 the Jaeger Medal for his career achievement in the Earth Sciences as well as Fellowships of the Australian Academy of Science (2004), the Geological Society of Australia (2007), the Geochemical Society (2008) and the American Geophysical Union (2002). His 228 scientific papers have been published in leading international journals including 23 in Science or Nature. Mark Meekan is a Principal Research Scientist with the Perth Office of the Australian Institute of Marine Science and is a Partner Investigator with the ARC Centre of Excellence for Coral Reef Studies. He is a fish biologist and his research interests focus on the ecology of reef fishes and elasmobranchs in tropical waters. Over the last 10 years he has been involved in tagging studies that have tracked various species of sharks over much of northern Australian waters and the Indian Ocean. 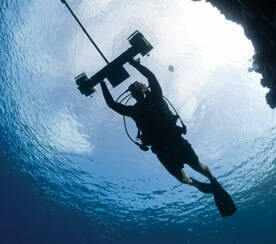 David Miller is a program leader at the ARC Centre of Excellence for Coral Reef Studies. His work is aimed at understanding how corals and the coral holobiont (the coral animal and its associated symbionts and bacteria) function at the molecular level. Major advances in DNA sequencing technology over the last few years mean that these are now realistic and achievable goals. David’s laboratory and those of his collaborators have pioneered the use of Acropora millepora as a model coral for gene expression analysis, enabling substantial advances to be made in understanding some general principles of coral biology. The coral genome has also provided some remarkable and surprising insights into the general principles of development and genome evolution in the animal kingdom. Donna Petrachenko is the First Assistant Secretary of the Marine Division within the Department of the Environment, Water, Heritage and the Arts (DEWHA) and Australia’s Commissioner to the International Whaling Commission and has a leadership role for the Coral Triangle Initiative for Australia. Donna is responsible for implementation of environment conservation responsibilities in the Commonwealth marine area and the Marine Bioregional Planning program, including marine species conservation, management of marine protected areas, sustainable fisheries assessments, marine science research and Australia’s international engagement in marine environmental matters. Ms Petrachenko came to Australia from the Canadian Public Service as Assistant Deputy Minister – Special Envoy for Asia Pacific and formerly held senior positions within Fisheries and Oceans Canada and Parks Canada. Donna is also a full Professorial Fellow at the University of Wollongong’s Australian National Centre for Ocean Resources and Security (ANCORS). Dr Ian Poiner is the Chief Executive Officer of the Australian Institute of Marine Science. Dr Poiner has significant experience in strategic development and planning of science, both as a practicing scientist and at the organisational level. This is reflected in his successful large-scale, multi-disciplinary research projects and his establishment of national and international research programs to support the sustainable use, conservation and management of marine ecosystems. Dr Poiner’s scientific background is research into tropical fisheries and ecological systems, including in Australia’s northern Great Barrier Reef, Torres Strait and the Gulf of Carpentaria. He has also worked in Jamaica, Papua New Guinea and Southeast Asia. Dr Poiner serves on a number of national and international committees. Hugh Possingham is the inaugural Director of The Ecology Centre, Professor of Mathematics and Professor of Ecology at the University of Queensland. Hugh has received a number of prestigious awards including: the POL Eureka Prize for Environmental Research (for collaborative work with Dr David Lindenmayer) – 1999, the inaugural Fenner medal for plant and animal biology from the Australian Academy of Science – 2000, the Australian Mathematical Society Medal – 2001, ARC Professorial Fellow – 2003, Fellow of the Australian Academy of Science – 2005, ARC Federation Fellow – 2006. Hugh’s research work focuses on empirical and theoretical aspects of the applied population ecology of plants and animals and environmental applications of decision theory. Hugh has published over 180 refereed articles and book chapters, 142 of which are in “Web of Science” international peer-reviewed journals. Hugh has a variety of broader public roles. Professor John Quiggin is an ARC Federation Fellow in Economics and Political Science at the University of Queensland and is prominent both as a research economist and as a commentator on Australian economic policy. He has published over 750 research articles, books and reports in fields including risk analysis, production economics, and environmental economics. He has also written on policy topics including unemployment policy, micro-economic reform, privatisation, competitive tendering, and sustainable management of the Murray-Darling system. He was awarded the Thomson ISI Australian Citation Laureate for Economics in 2004. He is a Fellow of the Australian Social Science Academy, the American Agricultural Economics Association, and the Australian Institute of Company Directors, and a Distinguished Fellow of the Australian Agricultural and Resource Economics Society. John Tanzer is an environmental consultant and Managing Director of Environmental Pathways and Solutions, providing advice to government, non-government and industry bodies on marine, coastal and fisheries issues. Currently he is working as specialist advisor to international NGOs and the Australian Government on the Coral Triangle Initiative. From 1997 to 2008 he was an Executive Director at the Great Barrier Reef Marine Park Authority where he oversaw the development of the rezoning of the Park, which has seen the highly protected area increased from 4.5% to around 33%. He was also Chair of the Queensland Fisheries Management Authority. He has worked in natural resource management and policy since graduating with an honours degree in Geography in 1980. He also has a Masters of Environmental Law (ANU). Dr David Wachenfeld is the Chief Scientist and the Director of the Science Co-ordination Group at the Great Barrier Reef Marine Park Authority. In this role, he has responsibility for co-ordinating the delivery, analysis, management and presentation of all the information needed to manage the Great Barrier Reef Marine Park. He has lived in Australia and worked on the Great Barrier Reef since 1992. During this time he has had fifteen years experience in research, management and education relating to the Great Barrier Reef. David studied marine biology at the University of London, receiving his degree in 1988. He went on to research the coral reefs of Egypt and Zanzibar for his PhD, which he received in 1993. Professor Bette Willis is a Chief Investigator in the ARC Centre of Excellence for Coral Reef Studies and a Professor in the School of Marine and Tropical Biology at James Cook University. She also Co-chairs the GEF/World Bank Working Group on Coral Disease. Her research has addressed a broad range of questions concerning the biology and ecology of scleractinian corals over the past 20 years, particularly in relation to ocean warming. Currently, her research activities are directed at assessing the ecological significance and environmental drivers of coral disease on the Great Barrier Reef. Concurrently, she is exploring how algal endosymbiosis affects the physiology of the coral host, particularly in relation to thermal stress. Bernie Hobbs is a multi-award-winning science writer and broadcaster with ABC Science Online. Her job lets her do two of the things she loves best – hear about what’s new in the world of science from the people who are making it happen, and turn high-brow jargon-laden material into great stories for the rest of us. While Bernie’s background is in medical science and teaching, she’s also interested in how science and big ideas fit into real life – culturally, socially and environmentally. She gets to explore that territory regularly as a judge on ABC TV’s The New Inventors, a new take on one of her favourite shows as a kid. When not being impressed by our country’s inventors, Bernie can be heard regularly discussing science on ABC radio, and seen having way too much fun each week in the ABC’s new science show for kids, the experiMENTAL! Moreton Bay is southeast Queensland’s marine playground, in danger of being loved to death. Paleontologist John Pandolfi is using the fossil record to examine the history and future of this important ecosystem. His unique detective-work has uncovered huge changes in the Bay since European colonization, with important implications for the future. In particular, what will Moreton Bay look like in 50 years as the effects of global climate change intensify? John Pandolfi is Professor at the Centre for Marine Studies and the School of Earth Sciences, University of Queensland and a chief investigator of the Australian Research Council’s Centre of Excellence for Coral Reef Studies. He has published more than 75 scientific articles. He likes hunting for fossils because they help him to uncover the past history living coral reefs. John is currently Vice President of the Australian Coral Reef Society. Why do we have a Great Barrier Reef Marine Park? Multiple-use marine parks, particularly those that incorporate no-take zones, aim to conserve and restore marine ecosystems. The Great Barrier Reef is an Australian and an international icon. The Great Barrier Reef Marine Park Act was passed in 1975, with much of the park in place by the mid-1980’s. In 2004 the park was re-zoned into the largest network of marine no-take areas in the world. This network was called the Representative Areas Program (RAP) and aimed to conserve all major bioregions of the Great Barrier Reef. The presentation will briefly reflect on why we have a Great Barrier Reef Marine Park. Professor Garry Russ is Leader of Program 3 (Marine Reserves and Connectivity) in the ARC Centre of Excellence for Coral Reef Studies at James Cook University. Garry received a prestigious Pew Fellowship in Marine Conservation (1999-2002) jointly with long-term colleague AC Alcala. Garry is one of only three Australian-born scientists to receive this award. Rules of thumb for marine protected area design really work! Designing effective networks of marine protected areas (MPA) requires understanding how coral reef species move around among reefs. Unfortunately this information is not available for most species, and managers have been using “rules of thumb” for MPA network design (how big and how far apart the MPAs should be) to try and take this into account. Recently, scientists from the ARC CoE for Coral Reef Studies developed innovative new methods for empirically measuring the movement of coral reef fishes among reefs in a proposed MPA network in Kimbe Bay, Papua New Guinea. Results demonstrate, for the first time, that these rules of thumb for MPA network design really work! Dr Alison Green is Senior Marine Scientist for The Nature Conservancy’s Asia Pacific Conservation Region, and is the Conservancy’s strategy lead for designing and implementing resilient networks of marine protected areas (MPAs) in the Coral Triangle. In 2006, Alison led the design of a resilient network of MPAs in Kimbe Bay, Papua New Guinea, and she is currently involved in designing several MPA networks in Indonesia. Homeless, hot and bothered: How do fishes cope with stresses of modern life? Climate change has significant impacts on coral reefs largely due to the extreme environmental sensitivities of reef-building corals, which increasingly bleach and die as temperatures rise. Extensive coral loss also has major ramifications for the diversity of organisms that live on coral reefs, such as coral reef fishes. This presentation will discuss the various ways in which climate change, and especially coral loss, will impact on coral reef fishes. Dr Morgan Pratchett is an Australian Research Fellow in the ARC Centre of Excellence for Coral Reef Studies at James Cook University. Morgan graduated from James Cook University in 2002, and has since published 50 papers based on research conducted throughout the South Pacific. He has just returned from the USA where he was based at the National Coral Reef Institute in Florida, supported by an American Australian Association fellowship. Coral reef scientists and managers are worried about the future, and with good reason. The world is on a conveyor belt driven by population growth, rising consumption and climate change – yet most governments and agencies are focused on maintaining the status quo, while many conservation groups would like to return to a pristine past. In a rapidly changing world, standing still or going backwards is simply not an option. The trick is to actively steer forward to a sustainable future that recognizes the importance of healthy ecosystems for human well-being. Professor Terry Hughes is the Director of the ARC Centre of Excellence for Coral Reef Studies, headquartered at James Cook University. Terry was elected a Fellow of the Australian Academy of Science in 2001 in recognition of “a career which has significantly advanced the world’s store of scientific knowledge”. He is ranked #1 in the world for citations in coral reef science, and in 2008, he was awarded the prestigious Darwin Medal by the International Society for Reef Studies.